The highly anticipated Emerge Conference kicked off on Jul 13. 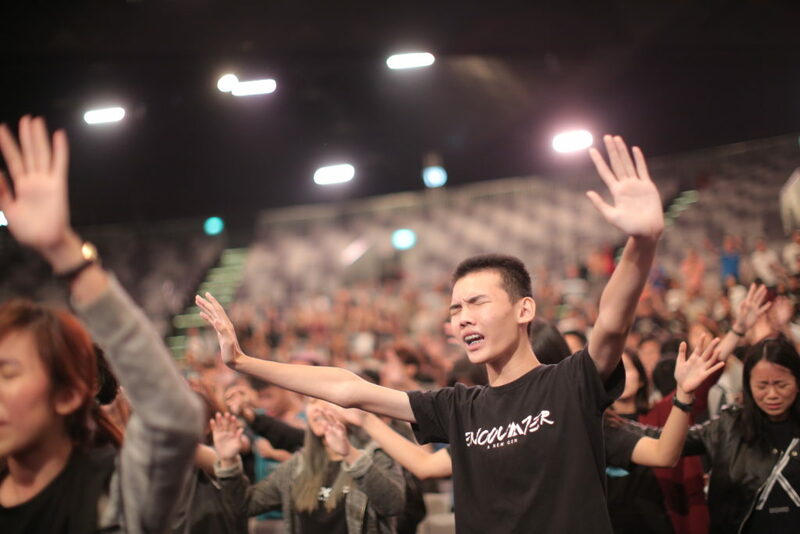 Emerge is City Harvest Church’s youth movement which started in 2003 and is still going strong today, impacting a new generation of youths. Through Emerge, young people aged 13 to 25 years are encouraged to use their God-given talents to serve Him. The three-day conference was a weekend dedicated to the youths, and as far as was possible, the conference was run by the young church employees and volunteers. 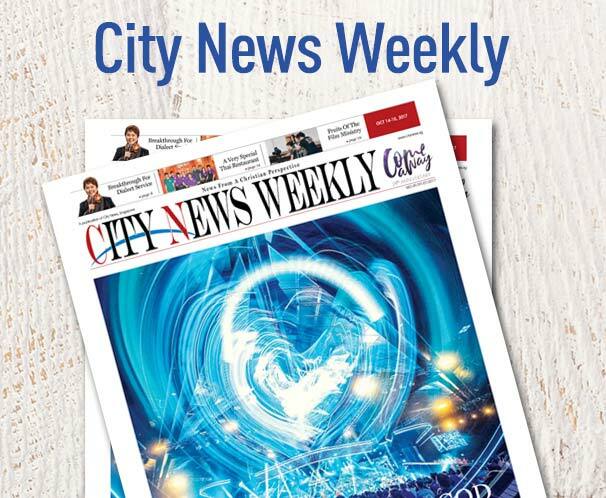 That weekend, from the worship leaders and musicians leading praise and worship on stage to those on the back end—the sound crew, the visual communications team, the lighting crew—all were aged 25 and under. On Day One of the conference, Friday night, young people gathered from every corner of the island to appreciate the potential of their youth and to be refreshed in the presence of God. Wu Yuzhuang, the pastor who oversees Emerge, delivered an encouraging message on a virtually unknown Bible character, Shamgar. 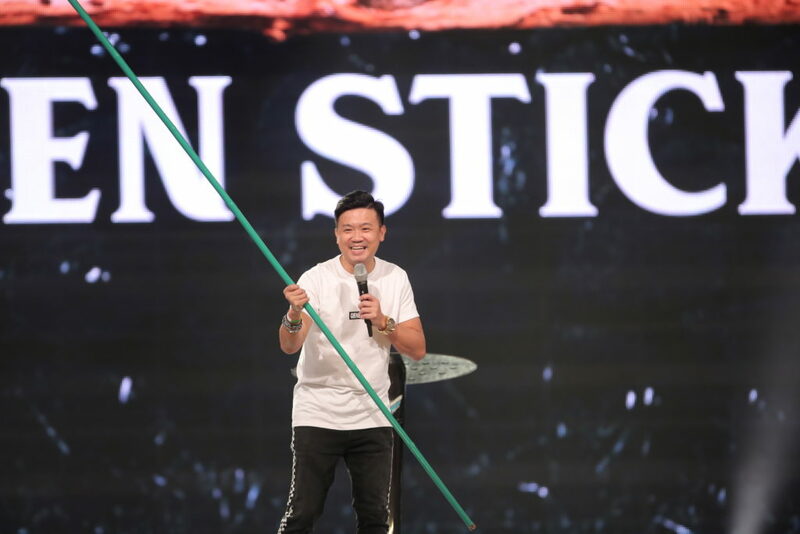 Titling his sermon “The Man with a Wooden Stick”, Wu referred to Shamgar in Judges 5:6. Shamgar came from a pagan people and he was a farmer. His only asset was an ox goad, a long piece of wood used to guide oxen. “The ox goad is not a weapon of war,” Wu said, explaining that Shamgar was an ordinary man that God used to wipe out 600 Philistine warriors. HOW DID SHAMGAR RECEIVE GOD’S ANOINTING? Shamgar means “hear and obey”. Wu inferred that he was a man given to praying and hearing the voice of God. When a person prays, he sees the dreams and visions God has given him. He will begin to step out of the realm of limitation into the realm of possibilities. Shamgar was also audacious. Wu imagined how Shamgar’s neighbors might have reacted when they found out that he wanted to fight the Philistines. They would have discouraged him and told him that he was just one man and that they needed a real leader like Joshua. Wu told the youth that to have faith is to have the capacity to take risks, even in the face of possible failure. He told stories of his own failures as a youth, how the first evangelistic meeting he conducted with his cell group was a flop, and how badly he prayed and preached for the first time in front of a crowd, the first time he preached. Another great quality Shamgar possessed was his passion for the anointing. Reading 1 Samuel 10:26, Wu highlighted the fact that among these men that went with Saul, there was a group “whose hearts God has touched”. He went on to preach that although Saul was appointed as king of Israel, he was not anointed. On the other hand, David was anointed. David went for the anointing of God and did great works for Him in his lifetime. Like David, Shamgar also went for the anointing. Wu turned his attention to the ox goad that Shamgar used as a weapon. God always use the hands of the willing, Wu told the congregation. Shamgar was willing to leave his home, his farm and his family to fight the Philistines. “The opposite of willingness is stubbornness, and God can’t work through a stubborn person,” Wu said. Wu told the youth that in his 21 years of ministry, he has learned that it is difficult to find a willing Christian. Many Christians are full of excuses why they cannot serve. Shamgar also had persistence. He did not kill those 600 Philistines at one go; he did it one at a time, over weeks and months. Wu ended his sermon encouraging the youths to be the Shamgar of their generation. Even if they do not have much, he said, if they are willing, God can use them.